Heather R. Burke has been an award-winning journalist for almost two decades. 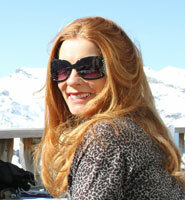 She has been published in countless newspapers, magazines, websites and writes several weekly ski columns and ski blogs. Heather is editor of Luxury Ski Trips – now SnowPak.com, The Luxury Vacation Guide, and she’s ski guru and reporter for Boston.com. A journalism major, Heather reviews ski resorts across the US, Canada, and Europe, she’s skied 170 re sorts (so far). Heather’s travel articles have been featured in The Boston Globe, Forbes Travel Guide, Liftopia, Maine Magazine, SAM- Ski Area Management, Snow Country, Providence Journal, Montreal Gazette, and The Portland Press Herald/Maine Sunday Telegram where she contributed the ski column for 11 years, The Sun, The Daily Item, The Ski Journal and more ski and travel publications. Heather travels to each ski resort before writing a resort review. Heather received Harold Hirsch Award honors for her “Excellence in Journalism” three times. Freeskier Magazine named Heather as the Top 100 ski industry folks to follow. Skea named Heather Ski Ambassador 2014-2018 along with US Ski Team members Pam Fletcher, Lisa Densmore, Fashion Stylist Kathy Benharris, and Fashion Model Kimberly Plake. See Resort Host Testimonials about her work and how to reach Heather if you are Interested in Hosting Family Ski Trips.